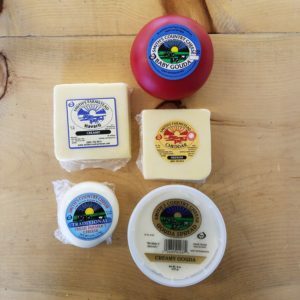 Our farmer’s cheeses are soft and spreadable and similar in texture and taste to goat cheese (but made with our cows’ milk). 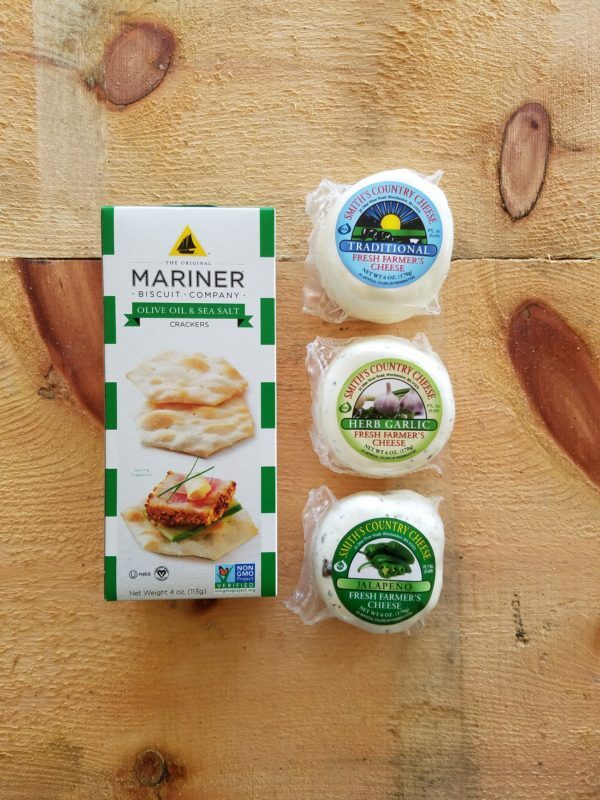 These are pasteurized cheeses and are simply delicious! 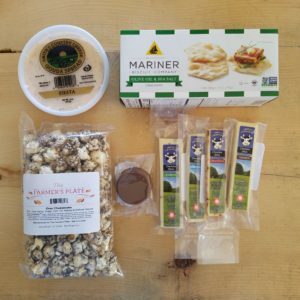 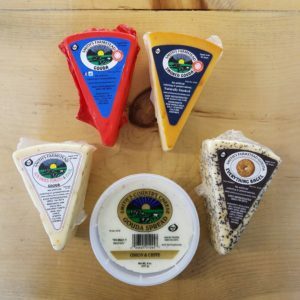 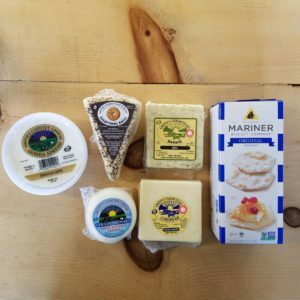 Your choice of three farmer’s cheeses (Traditional, Cranberry-Orange, Herb-Garlic, or Jalapeno) and a box of our our farm shop crackers.